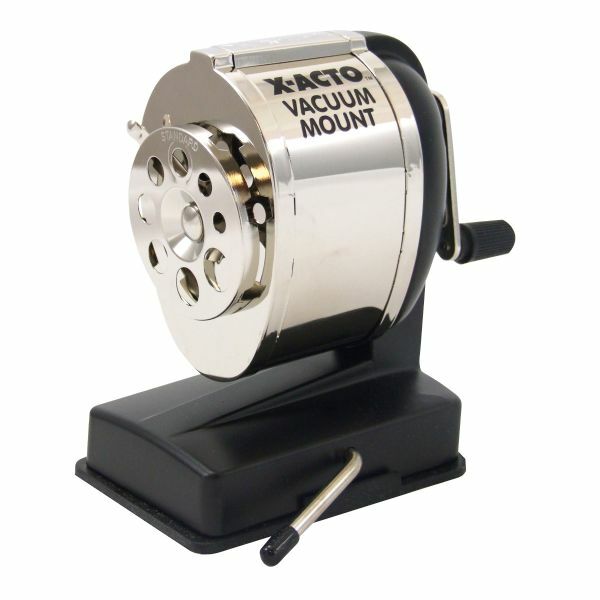 Just flip the lever and this vacuum mount sharpener locks in place on any non-porous horizontal surface. * It has an eight-size pencil guide with automatic pencil stop. * Features of this great sharpener include solid steel gears and speed cutters with 30 cutting edges. * Built solid for rugged institutional and classroom use. 5.5" x 5.38" x 3.88"